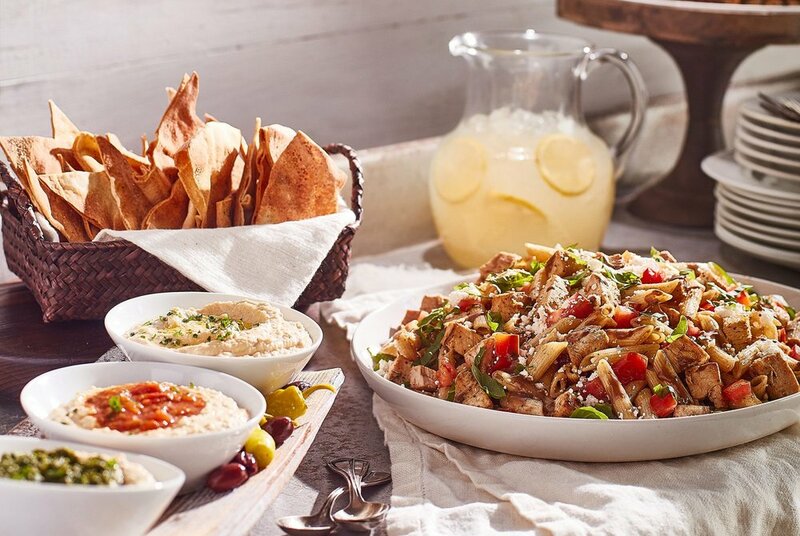 Whether you're celebrating with friends or meeting a client, nothing livens up a gathering like Mediterranean-fresh fare from Taziki's. Give us a call to learn about all our mouthwatering catering and delivery options. Boxed lunches, party dips, Taziki's Feasts, fresh salads, and healthy sides are available for any occasion.